If world-class skiing and tremendously beautiful summers aren’t enough for you, what if we threw in a community of endlessly passionate people, a thriving local business scene and 300 days of sunshine? It’s not just a dream – make the leap to move to Mammoth Lakes and it becomes reality. How do we know? We all did it. 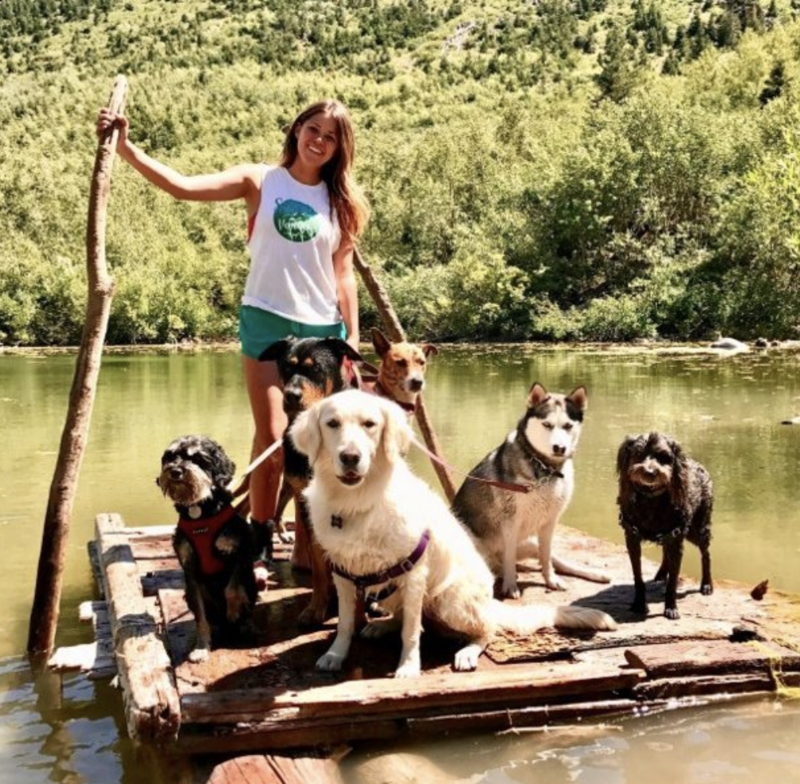 During a trip to Mammoth in 2017, I attended a Chamber of Commerce event and spoke to as many people as I could about potential business opportunities in town and they all said the same thing, "This dog adventure company idea is a HUGE need." And there it was. My open door. So I packed all of my things and headed to the mountains. ... Each day I am greeted with a wagging tail, a floppy tongue and incessant kisses amidst the most beautiful landscape possible and I'm reminded of why I'm here, and why it will work. Step 1: Get to know Mammoth Lakes. A visit to Mammoth Lakes is the best way to check it out. There’s nothing like being among the mountains, checking out the views from all over town and getting out on skis or a hike to seal the deal that Mammoth Lakes is a place like no other. If you can’t make it for a trip, browse our member directory to get a feel for the community and the resources we have locally. Better yet, connect with us via email with any questions you have. Step 2: Find a job. There are a dozen resources when it comes to finding a job in Mammoth Lakes, but the Chamber has compiled all the best jobs in the community on MammothLakesJobs.com. See current postings, reach out to potential employers, and learn how to set yourself apart and find the perfect starting position. Step 3: Find a place to live. We live here and experience firsthand the difficulty of finding housing in Mammoth Lakes. We don’t want to sugarcoat it – it’s a challenge, and it takes persistence. But once you’re here, it’s well worth it. Mammoth Lakes housing options include condos and single family homes, but the communities of June Lake, Crowley Lake and Bishop are great options if you’re looking for a specific type of home. Step 4: Get here & get connected. Mammoth Lakes may be a small town, but we know it can be hard to find the right information. We’ve compiled all the need-to-know updates into a convenient weekly email. It’s also helpful to have a built-in network, so we invite you to join us at a Chamber event or check out our member businesses’ events to meet people. Subscribe to our email list to stay up to date on info, events and more.